Why is ”Polish Orchards” juice unique? —› Why is ”Poland's Natural” juice unique? Why is our juice so special? 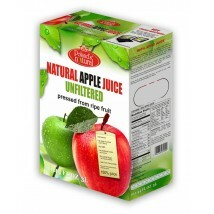 Because it is a 100% naturally none clear apple juice with a really unique taste and smell of fresh juicy apple. This perfect taste and smell is obtained by a technology of cold pressing of fresh fruit. The juice which is produced this way, does not contain any added water, sugar, dyes or preservatives. Moreover, apples used for the production are carefully selected , in order to allow only permissible concentration to be used. The production process contains of a few steps. The first step is loading of fresh apples into the pressure washer. Next is carefully sorting the apples, crushing the apples and placing them onto the presses. Freshly pressed juice is moved into the tanks. From the tanks, the juice is placed into the pasteurizer, where the juice is heated up to a temperature of 82 degrees celsius. From the pasteurizer, the juice is then moved into a half-automatic filler. Next, the juice is poured into the flexible containers with taps in the vacuum. The juice is then cooled, and the final product is now ready for consumption. 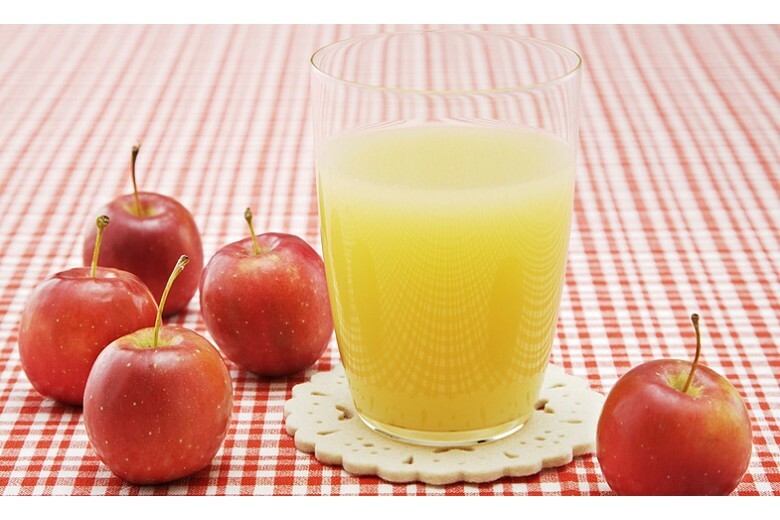 Our juice does not contains any added water, sugar, preservatives or dyes. 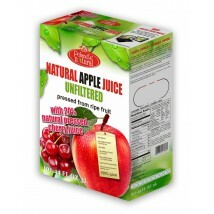 This is a 100% natural juice squeezed out from fresh apples. After squeezing, our juice is only lightly pasteurized to give it a longer lasting; however, it retains almost all of the vitamins and nutrients of fresh apples. 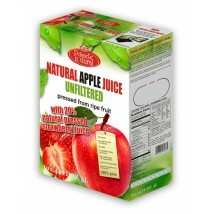 Our juices is packed in a 3-liter container BAG-IN-BOX, which consists of a cardboard box and a flexible container with a valve that does not let air inside. After production, the juice has a 12-month shelf life. The juice inside the flexible bag effectively pours into a glass so that it prevents air from entering inside. As a result, our juice is kept inside a vacuum at all times which allows it to stays fresh for 14 days after opening of the container provided that the tap is always flooded with juice. Remember: Nature never makes two things exactly the same - our juice can vary a little, depending on the variety of apples and season. 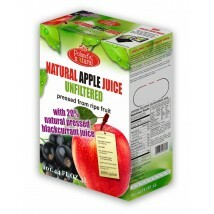 Our juice squeezed out from the fruit in 100%, and with that contains natural residue from the juice. This residue only serves as evidence of its naturalness, and dissipates by simply shaking the box. Try our natural juice – you will never buy other juices again!